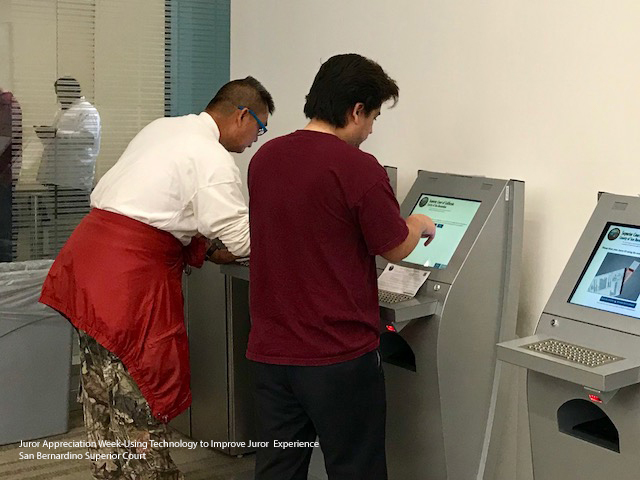 In counties like San Bernardino, kiosks streamline the juror check-in process, reducing stress and the amount of time standing in line. Depending on the county, some courthouses assemble more than 200 prospective jurors daily. Last week, California courts celebrated the contributions of the single largest cohort of court users—citizens called for jury duty. Each year, the Judicial Council of California and the superior courts team up to recognize the millions of Californians who answer the call to serve their communities and put into practice the fundamental American ideal of justice: the right to trial by jury. “We deeply appreciate the sacrifices and contributions jurors make to our justice system,” said Presiding Judge Charles Margines of the Orange County Superior Court, which held more than 900 jury trials last year. 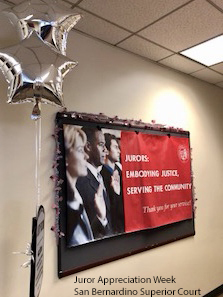 “In recognition of this valuable service, the judicial branch has worked to make jury duty less burdensome with one-day or one-trial service, plain-language jury instructions, and other improvements." Many courts have added new technologies to streamline jury service, such as check-in kiosks and updates via text message (see feature). 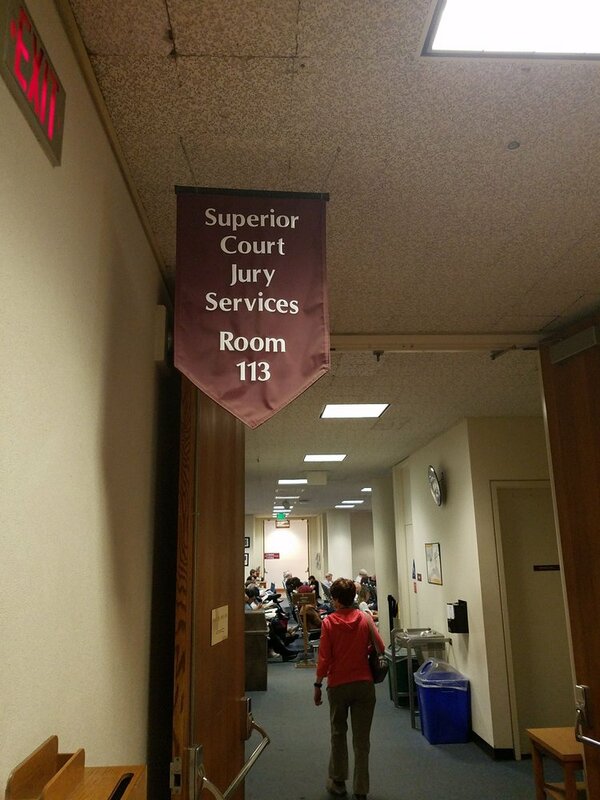 During Juror Appreciation Week, courts give special treatment to those serving. In Ventura County, prospective jurors received light refreshments, crossword puzzles that challenged their knowledge of the state courts, and certificates of appreciation signed by California Chief Justice Tani G. Cantil-Sakauye. In San Bernardino County, staff also served refreshments and distributed bookmarks and gavel-shaped pencils. In Sacramento and San Joaquin counties, judges personally greeted jurors each morning, thanking them for their service. —Chief Justice Tani G. Cantil-Sakauye. In 1998, the California Legislature designated the second full week in May to honor the sacrifices and contributions of citizens who devote their time and effort to "making the cherished right of trial by jury a reality and to raise awareness about their contribution to our courts."